Picking up where we left off last week… we will continue with a section from the Magnum Marine 45th Anniversary Book. Available for purchase CLICK HERE. Still, the racing community scoffed at Filippo’s victory – calling it sheer luck – until he did it again a year later on Maltese Magnum. In a tortoise-and-hare repeat among the lightning-fast race boats, the Magnum 63 was the only boat to finish, breaking even more records. 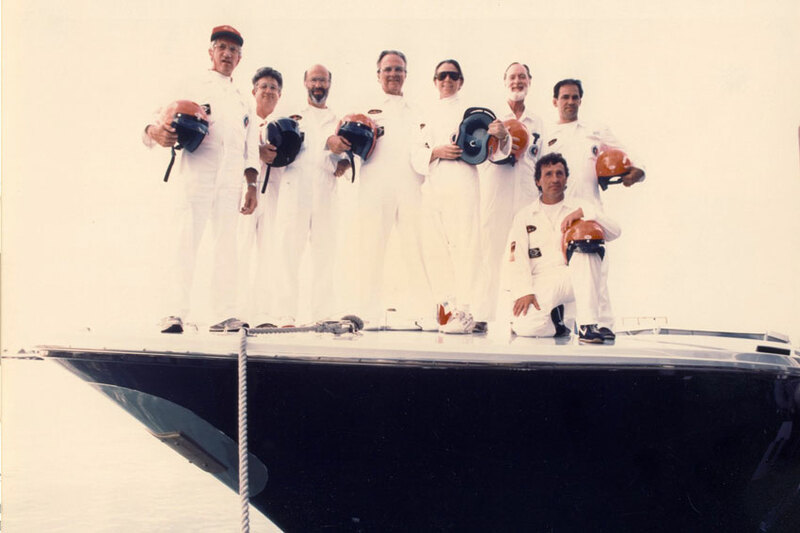 While the Atlantic gave the other racers a severe thrashing, several of Maltese Magnum’s crew simply recall it being a pleasant day. Phil Rolla thought that the boat ran very well, but since he had designed the experimental propellers he was worried whether they would hold during the race. They did. Winner of the Miami-Nassau-Miami race in 1987, the Maltese Magnum 63, returning to Miami followed by press and photographers. 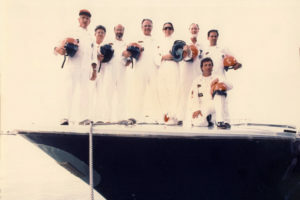 The winning crew of the Maltese Magnum 63 after the Miami-Nassau-Miami race in 1987. The long-distance event proved Magnum was in a class of its own when it came to building serious offshore yachts, and the back-to-back victories showed how far Magnum had advanced in just a decade, without abandoning its roots. 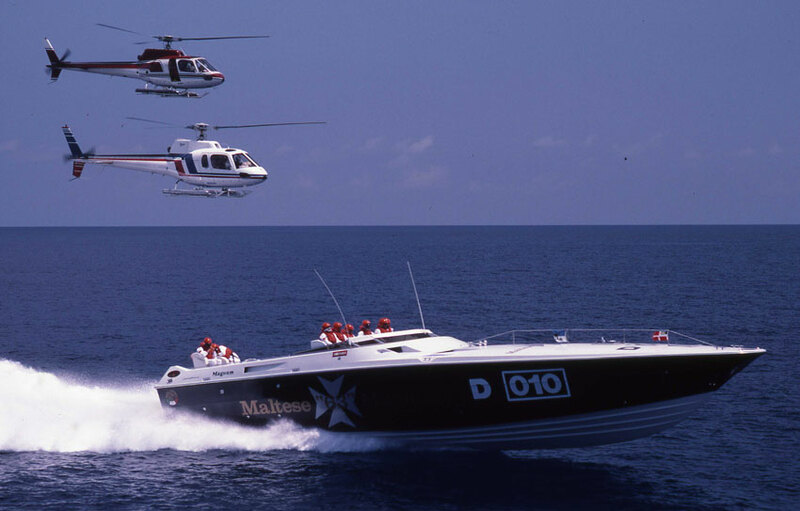 Proving their designs and technology is in the hot fire of competition is part of the Magnum heritage, and even today Magnum powerboats are renowned the world over for their rugged seaworthiness and style.